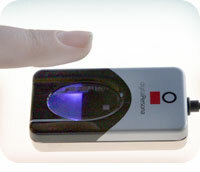 Clock your staff & visitors in and out by reading their finger with a biometric reader. Biometric Technology makes using ClockInOut so simple! Simply place you finger on the scanner. That's it! You are now clocked in (or out). Your arrival time is captured automatically and your name is now displayed on the list of people clocked in. Management can view this list at any time. An enrolment form like the one shown here will appear. You will need to fill in the first name, surname and chosen employee reference. When you have entered all the information, right-click the enrol button and the system will quickly take 3 sample readings of that user's finger. What can I use the system for? You can easily and accurately monitor time keeping and attendance. You can quickly log visitors and sub-contractors. 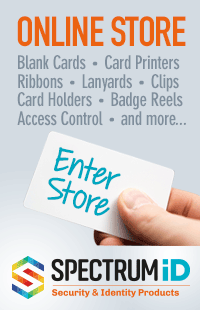 The system can even log car registration numbers, badge numbers or whom a visitor is meeting. This system would easily allow for a flexitime system as total hours for specified time periods can also be calculated. You can display a report for employee time worked for a current day or between any two dates. The system comes with a full set of management reports. Additional bespoke reports can be added for a small additional charge when required. ClockInOut has the option for a Holiday Planner which can monitor and control Holidays (including statutory holidays) sickness and other forms of absence. There is also a report to tell you who is on site at a current point in time. For more information on ClockInOut, contact us today. Knowing your customers is the key to developing profitable customer relationships. CRM will revolutionise your Marketing, Sales and Customer Support. CRM is far more than just a contacts database, because it tracks every activity with every single contact. Mail shots, letters, e-mails and telephone calls are all logged. CRM is powerful and easy to use, enabling contacts to be found in seconds. You can instantly see all the activities for that contact regardless of which member of staff undertook that activity. For maximum efficiency, CRM links to Microsoft Word and Microsoft Outlook, allowing you to import your Outlook contacts, email contacts via Outlooks sent items and create personally addressed letters in Word at the touch of a button. CRM uses the power of Microsoft SQL server to deliver high performance and corporate Microsoft compliance. It is highly flexible and can be customised to meet the exact needs of your business. Why not test drive CRM for yourself and see how it can vastly improve your business in a short time span? To arrange a FREE trial, contact us - and start improving your business today! Secure-Check-In is an extension to ClockInOut, the Biometric Time & Attendance system that will check in and clock the presence of security officers at a given reference point. It ensures that security officers are where they should be, when they should be. Security officers present their finger to a biometric finger reader at agreed frequencies thorough the shift. This will uniquely identify the security team member and confirm their presence at the reader (reference point) and log the date and time. Alarm triggers can be set to send an email or SMS message to a supervisor or control centre should a security officer fail to check in at the required time. This enhances the security of Lone Workers because if an accident, attack or incident occurs, their supervisor is made aware of the missed check-in and could then take the appropriate action. The system can also send a text message to a security officer who is late at a Secure-Check-In point prior to a text alert being sent to his/her supervisor or call centre. The system can be configured with any number of reference points on any number of sites. One finger reader and PC is required at each reference point. Using the latest internet technologies the system has an option to allow the Control Centre to view live Secure-Check-In clocks across one or more sites. It will deal with multiple security officers working on multiple sites. The system will also create time and attendance records. Effectively this solution is two systems in one. Audit reports can assure clients that security officers were present when they should have been. Fraudulent call in reports and buddy clocking eliminated. Promotes a culture of good time keeping - ensures that security officers are where they should be, when they should be. For more information on Secure-Check-In, please contact us.